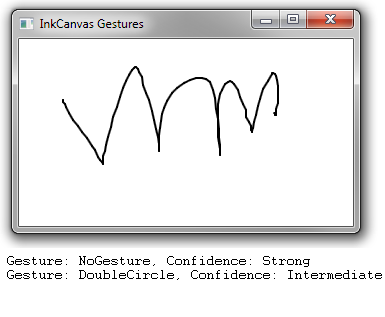 With the EditingMode of an InkCanvas set to GestureOnly or to InkAndGesture, the InkCanvas will attempt to recognize any gestures drawn using a mouse or a stylus. 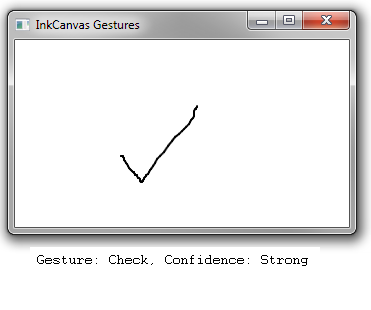 You can handle the Gesture event of an InkCanvas and then call the GetGestureRecognitionResults to get a list of candidate gestures that the InkCanvas thinks that you drew. In the example below, we get this list of gestures and dump them out to a debug window. 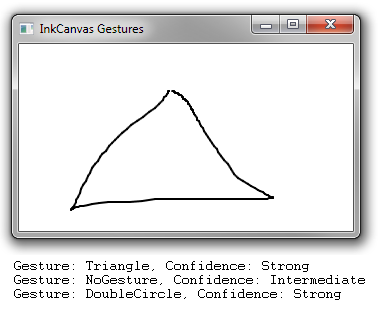 Below are some example gestures, followed by the list of GestureRecognitionResult objects. 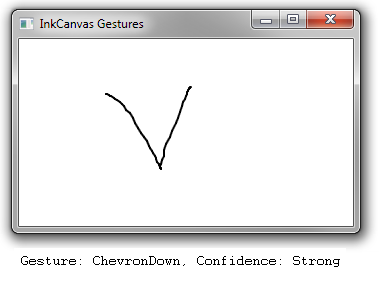 Each has a Confidence property that indicates how confident .NET is of the suggested result.